"The Leeds Rhinos are the team to beat!" Says who? Says St Helens boss Nathan Brown ahead of their big clash. 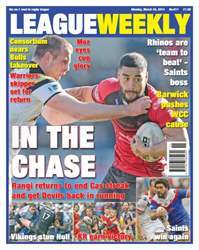 "World Cup Challenge needs to expand" adds RFL chairman Brian Barwick, with a warning to Super League clubs for good measure. 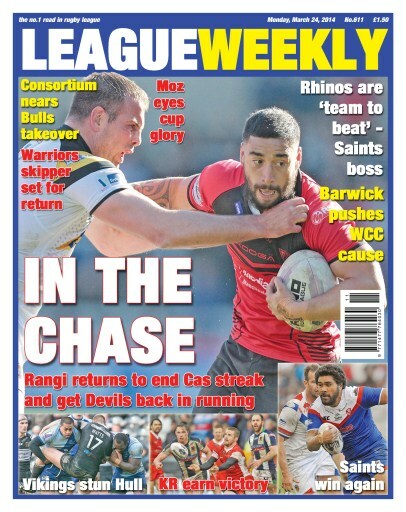 That and so much more as the world of rugby league is brought to you by the number 1 read in the game – League Weekly! Andrew Voss, Danny Lockwood, Nosey Parker with news of legal action over at Hull, the Whistleblower Stuart Cummings and so much more.